Cookies are available in 1 or 2 pound quantites. Shipping will be within two to three days of the order placed, as all our cookies are made fresh to order. Contact us at CustomerService@GramsTreats.com if you need rush delivery. 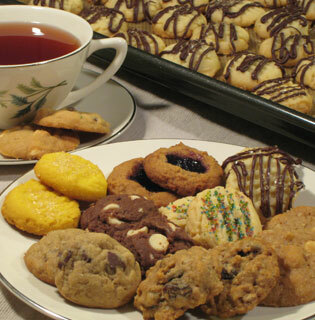 Our cookies are made in a kitchen that handles peanut, wheat, egg, tree nuts and dairy products.